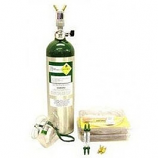 See other products by Airpath Instrument Co.
Airpath Instrument C2200 Series Cessna Compass. The Airpath Instrument Compasses in the C-2200 series passed diligent testing to meet FAA TSO-C7c requirements. With clean black & white markings and a black finish. 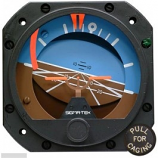 The Airpath Instrument Cessna Compass C2200-L4 has been designed specifically to fit the Cessna Aircraft “bonded bracket” for installation requirements. All of the C-2200 series compass models come with a 8-32UNC threaded rivnut which are installed on the rear for securing during the installation process.